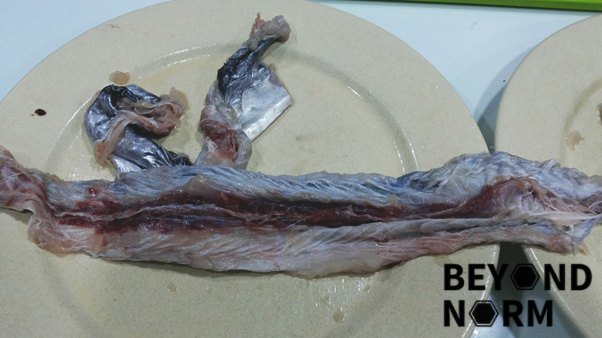 Get a 800g/900g batang fish from your local market. Debone it and freeze the bones for later usage. You can use it to cook fish sliced noodles or make fish stock. 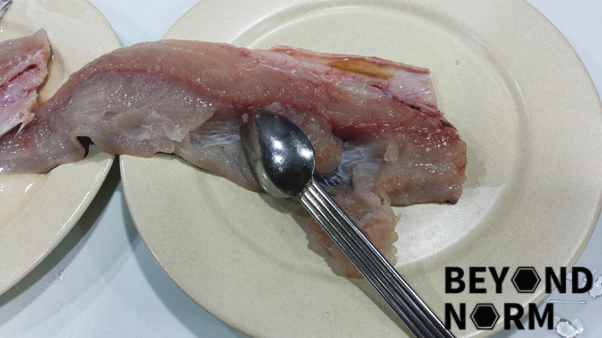 Place the fish fillet on a chopping board or plate and use a spoon to scrape the fish meat. The fish meat is ready to be used. 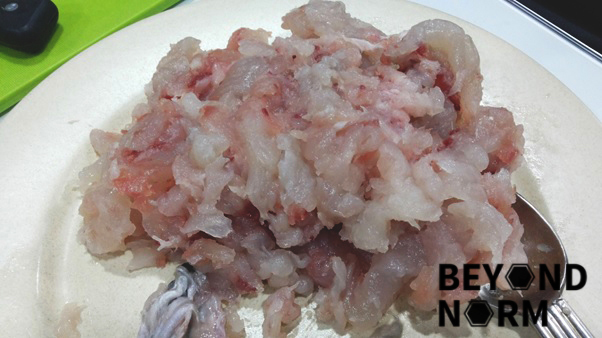 Keep the skin of the fish after the fish meat is scraped. 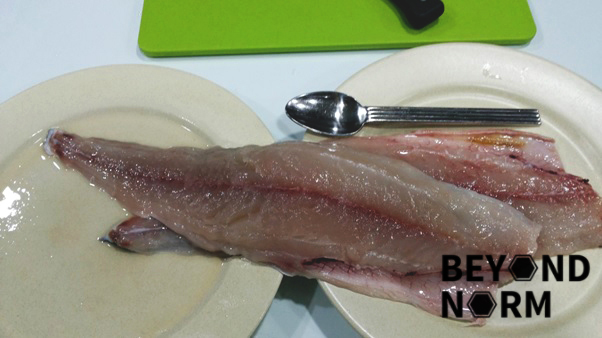 You may freeze it together with the bones for when you want to cook fish sliced noodles or make fish stock. If you have enjoyed our recipes, we hope that you could provide us with some feedback/comments either via our blog or by joining our Mummy’s Kitchen Facebook Group. You can like us on Beyond Norm’s Facebook Page or subscribe to our blog via the right side bar to get the latest updates.